We just received the following message from one friend and decided to share it with friends here. Just a heads up for everyone regarding the latest in Visa fraud. Royal Bank received this communication about the newest scam. This is happening in southern Alberta right now and moving. This information is worth reading By understanding how the VISA & MasterCard telephone Credit Card Scam works, you'll be better prepared to protect yourself. One of our employees was called on Wednesday from 'VISA', and I was called on Thursday from 'MasterCard'. After you say no, the caller then thanks you and states, 'Don't hesitate to call back if you do', and hangs up. You actually say very little, and they never ask for or tell you the card number. But after we were called on Wednesday, we called back. Within 20 minutes to ask a question. Are we were glad we did! The REAL VISA Security Department told us it was a scam and in the last 15 minutes a new purchase of $497.99 was charged to our card. We made a real fraud report and closed the VISA account. VISA is reissuing us a new number.. What the scammers want is the 3-digit PIN number on the back of the card. Don't give it to them. Instead, tell them you'll call VISA or Master Card directly for verification of their conversation..
What makes this more remarkable is that on Thursday, I got a call from a 'Jason Richardson of MasterCard' with a word-for-word repeat of the VISA Scam. This time I didn't let him finish. I hung up! We filed a police report, as instructed by VISA. The police said they are taking several of these reports daily! They also urged us to tell everybody we know that this scam is happening. I dealt with a similar situation this morning, with the caller telling me that $3,097 had been charged to my account for plane tickets to Spain , and so on through the above routine..
U.S. economy is still in the recession -- unemployment rate is still high, the value of the home is continuing to slide in some area and consumers are continuing to temper their spending habits. This downturn could be longer and deeper than we anticipated. Most small businesses experience ups and downs. Any reduction in expenses is always welcome and could be result in increasing your profits. A penny saved is more than ever a penny earned. Here are a few relative painless ways to cut cost and make your business more robust. Why pay for something you don't have to? There are a lot of free stuffs on the internet. Web sites, e-mail addresses, fax numbers and conference call services are all among the options business owners can use for little or no charge at all. Just enter "free phone service" or "free xxxx" in Google, you will be amazed at what come up, from free check paper, free check printing software to free web hosting service. (check the video on "How to print check at $0 cost"). How much you pay your accountant each month? $200? 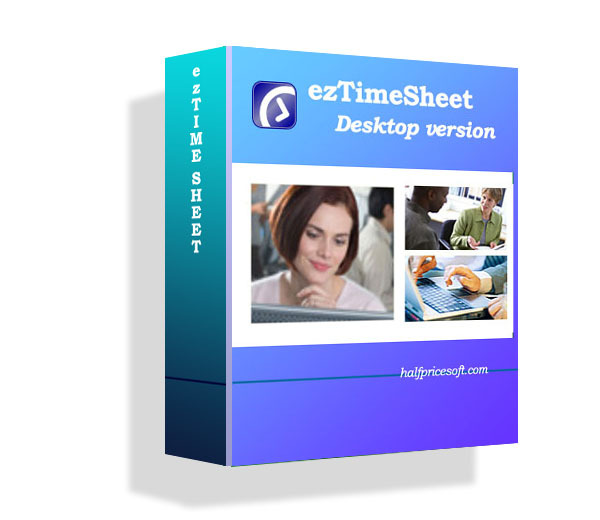 With less than $100 priced easy-to-use payroll software like ezPaycheck from halfpricesoft.com, you can handle the payroll job easily yourself. Most payroll software can be downloaded from the website and try free for 30 days. Just pay the software after you feel comfortable. Outsourcing does not always mean sending your business oversea. This is an idea to find talented people not limited in your local geography. From guru.com, elance.com or other websites, you can find web master, bookkeeper and other people that work for you on a subcontract basis. If you mail a printed newsletter or coupon to customers, would it be more cost-effective to send out an e-mail? You can save not only printing and paper cost, but also postage. Instead of buy advertisement from traditional news paper, you can also market online. If you have money, you can use pay-per-click program from Google, Yahoo or other companies. But do not forget there are still a lot of free and effective ways to marketing your company online, such as blog, bookmark, article-marketing, directory-marketing, press release, email-marketing and so on. If you sell digital products such as software, TrialPay is also an effective and free way to promote your products. The gas price is still high now. Here are some questions to ask: - Do all your sales or services calls need to be in person? Can you help your customers with internet-based technologies such as web conferencing and tools? - Can your company allow full-time employee to telecommute? It will cut your rent expense, travel and fuel costs. And some studies have shown the employee work from home have increased output and enthusiasm. Google Voice is now available for everyone (provided you have a U.S. phone number). Mid and small business may benefit from this cost-effective tool.